Mechanization has been the biggest reason for manufacturing jobs’ disappearance. Economists across the board predict further losses as AI, robotics, and other technologies continue to be implemented which is very apparent in Malaysia in the banking sector, the airport self check in to luggage drop, the passport immigration clearance, the supermarket self payment counters and certain F&B industry like McDonalds. Now, an expert at the Wharton School of Business at the University of Pennsylvania is ringing the alarm bells. 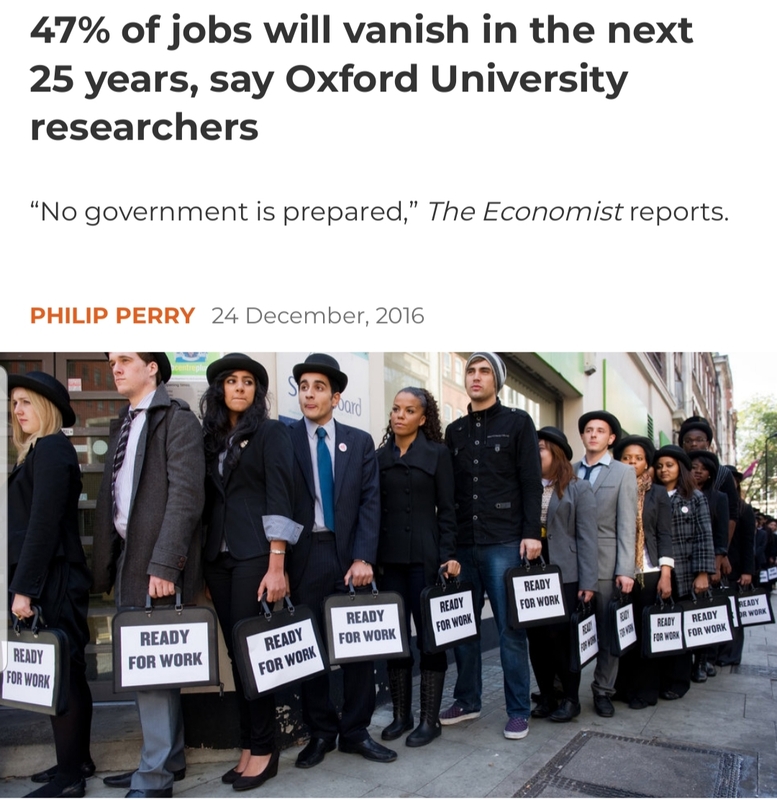 According to Art Bilger, venture capitalist and board member at the business school, all the developed nations on earth will see job loss rates of up to 47% within the next 25 years, according to a recent Oxford study. “No government is prepared,” The Economist reports. These include blue and white collar jobs. So far, the loss has been restricted to the blue collar variety, particularly in manufacturing. This coming techological revolution is set to wipe out what looks to be the entire middle class. Not only will computers be able to perform tasks more cheaply than people, they’ll be more efficient too. Accountants, doctors, lawyers, teachers, bureaucrats, and financial analysts beware: your jobs are not safe. Are you upgrading yourself to make yourself relevant?